The Toyota Entune 3.0 system offers unmatched connectivity in your vehicle while maintaining safe driving conditions. 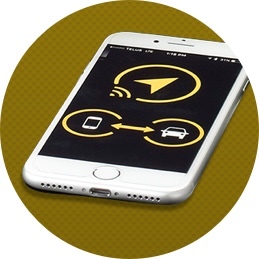 These apps and interconnected technology serve to make your driving experience easier. From app connectivity, navigation assistance and safety help, Toyota’s media assists will improve your drive. The Entune App Suite Connect is our way to provide easy access to apps across your Toyota. It’s as simple as downloading the app on your phone and then pairing it via Bluetooth® to your vehicle. You can then view all of your apps on your Toyota multimedia screen through each menu app icon. Whether playing music, searching for restaurants, or finding the quickest driving directions, this vehicle support consolidates all of your apps. For the best convenience and safety, activate the voice controls on each app for hands-free interactivity. Be ready for the unexpected with the Toyota Safety Connect feature. Your contact with safety is just the push of a button away. This SOS button is located directly above your rear-view mirror. Once pushed you will be connected with one of our live service agents in the Toyota response centre. For big or small emergencies—a flat-tire to a major accident—we will provide you with swift assistance. This service is active 24 hours, 7 days a week for whenever you need it. Don’t take a wrong turn again with our Destination Assist Connect service. It’s easily accessible, just click the icon on your multimedia display or use your vehicle voice recognition to call the service. This feature connects you with one of our live agents who will help guide you to your destination. They can also offer recommendations on restaurants, hotels or anything else you desire. Directions are sent directly to your vehicle and pop up on your navigation system in an instant. Our service supports a variety of languages to serve you best including English. French, Mandarin and much more. If you don’t have embedded navigation in your Toyota, the Scout GPS has you covered. Download the app onto your smartphone from your respective app store and then link it to your multimedia display through your Bluetooth® link. 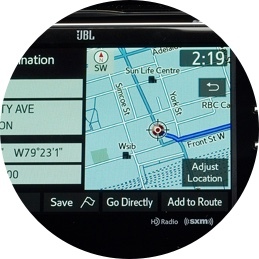 This GPS system includes interactive maps, traffic re-routing and voice prompts for excellent navigation assistance. 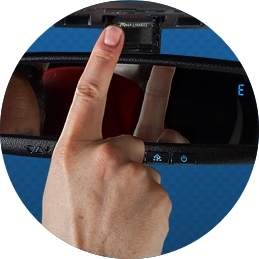 It’s receptive voice controls allow you to easily navigate hands-free and safely focused on your driving. Come in to McPhillips Toyota to see how you can remain simply connected in your vehicle. 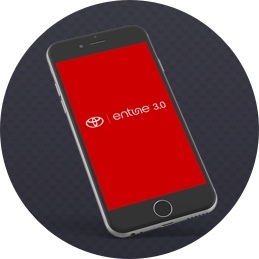 Contact our team and see if your new Toyota is compatible for the Entune 3.0 system.